With its walls clad with Grateful Dead memorabilia and portraits of Jerry Garcia, Garcia’s continues its dedication to keeping the spirit of Jerry alive. A regular installment, DeadCenter Presents, brings the music of Jerry Garcia and the Grateful Dead to the cozy club annexed to The Capitol Theatre. Kicking off April’s series was Deadgrass, a collective of musicians from the Hudson Valley/greater NYC area delivering a captivating bluegrass interpretation of Garcia. 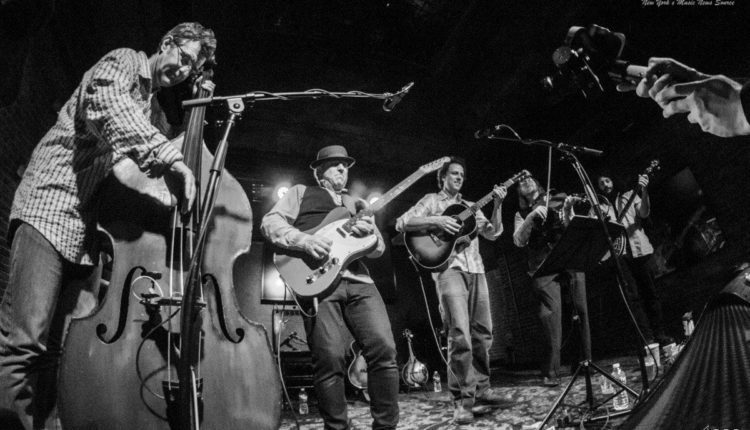 Deadgrass is lead by Matt Turk (mandolin/guitar) and C Lanzbom, and joined by Clarence Ferrari (violin), Russ Gottlieb (banjo), and Dave Richards (bass). Their two-set, full length performance weaved in and out of mellow grooves and blistering licks. For a late evening, mid-week show, the initially docile crowd found the mark with dancing feet before long once “Truckin'” rolled around. There was plenty of solo trading throughout the entire show albeit slightly more abbreviated during the first set. As the midnight hour drew nearer, especially during the second set, things loosened up quite a bit more as the songs became increasingly improv-laden. After a short break, the second much looser second set marched forward starting from “Cumberland Blues” and included the popular run of “Scarlet Begonias” -> “Fire on the Mountain,” strung seamlessly together with a jam that slowly folded in the two-chord progression of the latter. Everyone on stage demonstrated some phenomenal chops in the jams, but Lanzbom’s blazing electric guitar solo on “Franklin’s Tower” gripped everyone’s attention. One of the metrics for a Grateful Dead cover/tribute band is the vocal performance. On top of embodying the mix of structure and improv of the Grateful Dead in their set, Deadgrass did a great job in capturing the vocal harmonies and intonations led by Garcia. Both Turk and Lanzbom, who had a share in lead vocals, emulated Garcia’s performance well, particularly demonstrated by Turk on “Stella Blue,” a song in which the lyrics are a major component. 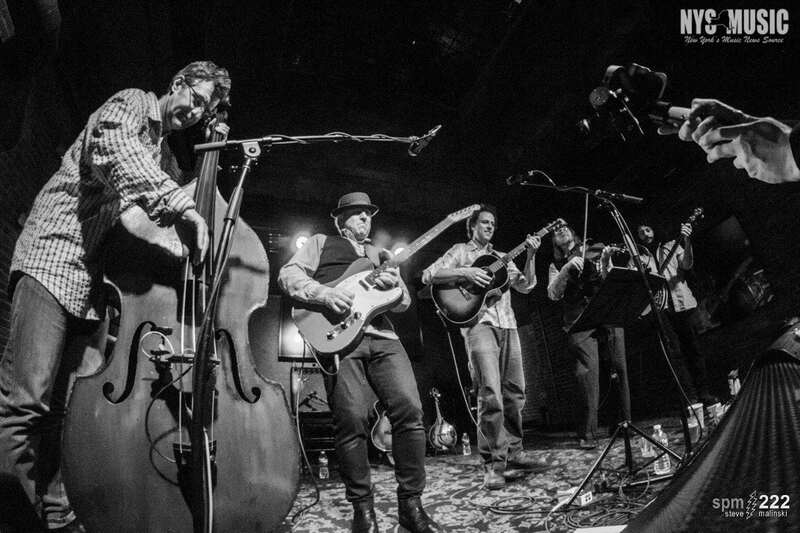 Deadgrass’ high energy and melodic bluegrass take on the Grateful Dead is refreshing and fun among the mix of the other great cover acts out there. For a Wednesday night, the DeadCenter series continues to be a substantial respite from the mid-week blues.